Scaletec are one of South Africa's leading weighing scale and balance suppliers; we are a long established company with an exceptional reputation for delivering the best quality products that meet all the necessary safety standards and approvals; we operate from two offices, Durban and Cape Town. 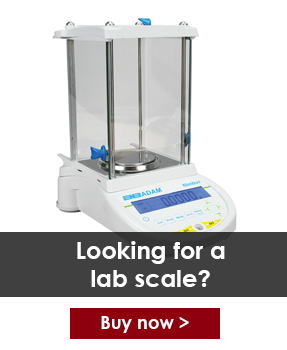 We stock a wide range of Adam Equipment manufactured products including heavy duty industrial platform scales, checkweigher scales and hanging scales; advanced analytical and precision laboratory balances, as well as a selection of top quality price computing scales with NRCS approvals. We also sell a variety of weighing accessories and calibration weights for ensuring you get the best from your weighing equipment. All of our scales and balances have been electrical safety approved and we are a SANAS Accredited Verification Laboratory so we issue SANAS Accredited Verifications to all SABS Approved Scales. We can also offer SANAS Accredited Calibration to all scale brands. Repairs and maintenance for all types of scales and balances. Verification and calibration reports available for various types of scales and balances. Installation of specialised equipment/loadcells, e.g. : Silo's and hoppers and in-line weighing applications. Calibration for all types of scales and balances. Personalised software linkup and installation on all makes of scales and balances. The hiring of scales from 3kg's to 5tons including crane and hanging scales. View details of our calibration and maintenance services.